Falling in love is like building a house. In the beginning, you're excited but not entirely sure what the end result is going to be. As time goes on, you settle into the build. You know what's expected of you, what you can and cannot do to ensure things don't fall down around you. And by the end you're relieved that it's finally all over, ready to move onto your next project, maybe popping back every couple of years to check in and make sure the pipes haven't burst or anyone has died. So similar. Yet so far removed. However, it turns out that no matter how much falling in love and constructing a home have in common, one cannot sustain the other. At least, for James and Shannon from Grand Designs they can't, because Shannon broke up with James in the middle of their build, leaving him to look after their hypothetical chickens himself. The pair were building their first home in the countryside so they could have a good bit of space, start growing vegetables, and keep a few chicks roaming about the place. Unfortunately, in the middle of the build, James revealed that Shannon had left him and that he had planned to finish the house in a bid to win her back. "All I've ever seen for the future is Shannon and I happily ever after," he said, filled to the brim with emotion. "But we were having some problems and unfortunately Shannon has left me. I think the build has been a catalyst and sped things up really. I'm heartbroken." 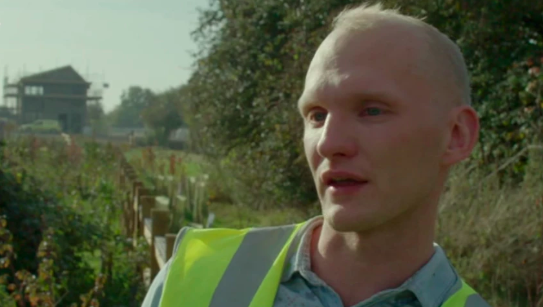 As James trundles on and viewers at home fall to pieces, the house in the countryside is eventually completed - although James does announce that he'll need an extra £60k to finish the interior. It's also revealed that he left his own home to go live on the site of the house, the shell of which he had eventually finished after numerous setbacks. At the end of the episode, Shannon has not returned, but James declares that he has come a long way since she left. "I've felt low at times," he said. "But I've picked myself up and become more resilient."